Beautiful 4 Bed / 2 Bath home located in the sought after community of Legacy Park. Brand New Roof July 2018. Upgrades include hardwood floors in formal sitting/dining. Master has walk-in closet and on-suite with garden tub, separate shower and water closet. Home's kitchen has been upgraded with custom backsplash, real wood cabinets, center island, large pantry and recess lighting. Upgraded fans, fixtures and much more throughout! New 16 SEER Dual two-stage central AC system installed in 2015. Has separate laundry room. The exterior of the home features a large backyard with screened lanai, no rear neighbors and lots of privacy. This property is completely move-in ready and includes all the modern touches buyers are looking for. Perfect for personal use or for an investor. Central Florida living at its best!!! 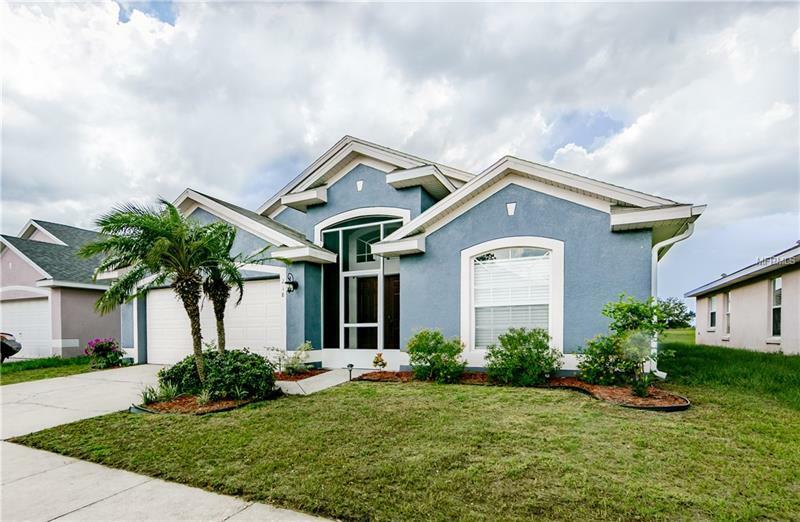 Close to Disney, Universal Studios, Sea World and all of Orlando attractions. Florida Gulf Coast Beaches and Atlantic Ocean Beaches near by. Enjoy Kennedy Space Center and Busch Gardens for the day. Must see home!!! Amenities Additional Fees: HOA brings trash/recycling bins to curb night before. Copyright © 2019 Mid Florida MLS. All rights reserved. The data relating to real estate for sale on this web site comes in part from the Internet Data Exchange Program of Mid Florida MLS. Information provided is for consumer's personal, non-commercial use and may not be used for any purpose other than to identify prospective properties consumers may be interested in purchasing. PREMIUMPROPERTIES SHOP participates in the MFRMLS Internet Data Exchange (IDX) program, allowing display of other MFRMLS broker's listings on this site. However may not include all listings currently available. Information is deemed reliable but not guaranteed. Information last updated at 2019-04-25 14:01:00.